Any artist with a voice as powerful and honest-sounding as Mark Lanegan’s could be forgiven for resting on their laurels. However, Lanegan has done the opposite, relentlessly pursuing his muse while in Screaming Trees, and ever since, teaming up with the likes of Josh Homme, PJ Harvey and Greg Dulli. His solo albums since 2004 – Bubblegum, 2012’s Blues Funeral and 2014’s Phantom Radio have paired his impossibly deep voice with more electronic textures, specifically drum machines and buzzing synths. The creation of Gargoyle began with Blue Blue Sea, a gnarled mix of arpeggiated synth, harmonium and Mellotron-like synth tones; there are no drums, but it’s aggressive, particularly Lanegan’s associative wordplay. 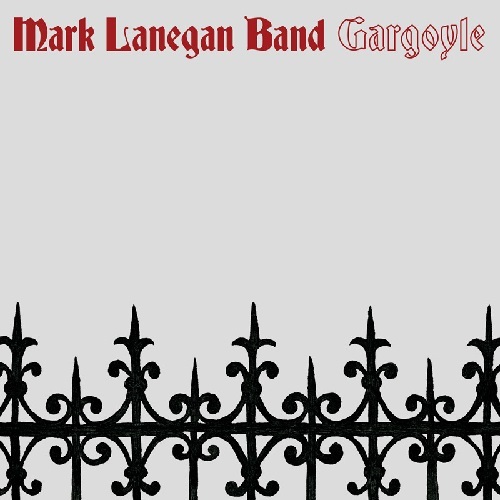 Although there’s plenty of percussion on the rest of Gargoyle, this track set the tone for the album, which began to take shape when Lanegan collaborated with British producer Rob Marshall. The songs are short, the tempos high, and the feel is of a more streamlined Lanegan than we’ve heard for years: Emperor is a minor-key pop gem, reminiscent of something Josh Homme might have written for Lanegan to sing on Lullabies To Paralyze, while Nocturne takes on the bass-heavy mood of The Cure’s darkest ’80s work. Drunk On Destruction even matches a drum’n’bass beat with loud guitar, bringing to mind the more outré parts of My Bloody Valentine’s mbv album. Lanegan is too canny a songwriter to make Gargoyle a one-note record, though, and as the second half proceeds, a tender side emerges. The wistful Goodbye To Beauty matches acoustic guitar and flowing piano with a heartfelt, aching vocal high in the singer’s range, and the suitably icy First Day Of Winter finds guitar, drums and synths lost in a fog of reverb. Creating such gorgeous music even seems to be doing wonders for Lanegan’s state of mind: “Queen of the world, take me in your arms/Let me live again,” he calls out on the redemptive Old Swan, a song of praise with a metronomic drum machine and a distorted guitar.